The Seattle Mariners took sole possession of first place in the American League West on Wednesday. In other words, Seattle won the first game of the MLB season, using newcomer Domingo Santana's third-inning grand slam to defeat the rival Oakland A's 9-7 in a special season opener in Tokyo. The focus of the game was Japanese hero Ichiro Suzuki, the 45-year-old future Hall of Famer playing what is expected to be his final games with the Mariners, who will meet Oakland again on Thursday (2:30 a.m. PT) before returning to exhibition games in Arizona. Suzuki helped make it a festival at the sold-out Tokyo Dome, starting in right field and going 0 for 1 with a walk before Seattle manager Scott Servais substituted for him — a move that brought Ichiro back to the dugout from the outfield amid congratulatory hugs and a roaring crowd of 45,787. The 26-year-old Santana made most of the other big noise on Opening Day. 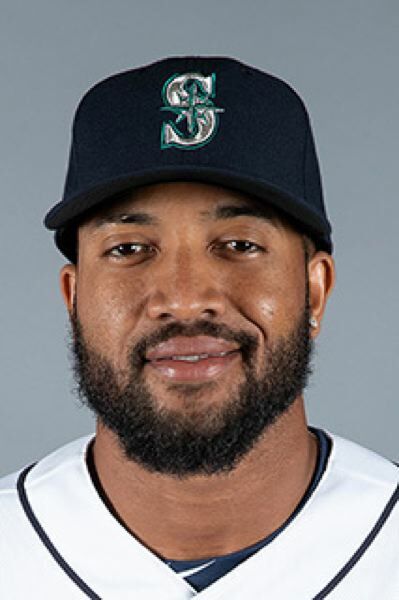 One of five new position starters acquired during the offseason by Mariners general manager Jerry Dipoto, the 6-5, 220-pound left fielder put the M's on top 5-2 with his bases-loaded clout. Shortstop Tim Beckham, also new to Seattle, whacked a two-run homer in the fifth and finished 3 for 3 with a walk and three runs scored. Seattle left-hander Marco Gonzalez gave up four runs on seven hits, two of them HRs, but left after six innings with a 9-4 lead. The revamped Mariners bullpen was just good enough to make Gonzalez a winner as he replaced veteran Felix Hernandez as the club's first-game starter. Suzuki popped out to the outfield in the third inning, then fought through nine pitches to get on base in the No. 9 spot in the fourth. He became the second-oldest position player (and sixth-oldest overall) to start a major league opener and the first MLB player to reach base at 45 or older since Omar Vizquel on Oct. 3, 2012. Julio Franco started for Atlanta in 2004 at age 45, and was 78 days older than Suzuki. The 10-time All-Star, who has 3,089 major league hits and a career .311 average over 18 seasons, is expected to play again in the second meeting of 2019 with Oakland. Starters for Game 2 are Yusei Kikuchi, another free-agent signing by the Mariners and a former Japanese ace, going against Oakland's Marco Estrada.